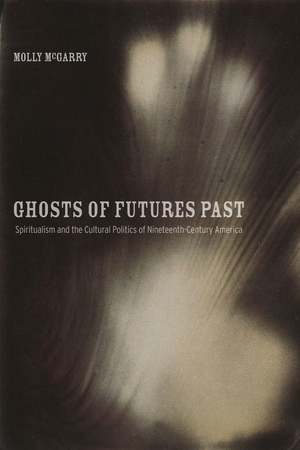 Ghosts of Futures Past guides readers through the uncanny world of nineteenth-century American spiritualism. More than an occult parlor game, this was a new religion, which channeled the voices of the dead, linked present with past, and conjured new worldly and otherworldly futures. Tracing the persistence of magic in an emergent culture of secularism, Molly McGarry brings a once marginalized practice to the center of American cultural history. Spiritualism provided an alchemical combination of science and magic that called into question the very categories of male and female, material and immaterial, self and other, living and dead. Dissolving the boundaries between them opened Spiritualist practitioners to other voices and, in turn, allowed them to imagine new social worlds and forge diverse political affinities. Molly McGarry is Assistant Professor of History at the University of California, Riverside, coauthor of Becoming Visible: An Illustrated History of Lesbian and Gay Life in Twentieth-Century America, and coeditor of A Companion to LGBT/Q Studies.